Getting Started? What you need! My name is Adrian Curran - I am a guitar teacher based in Warrenpoint, County Down, Northern Ireland. I have many years experience playing and teaching guitar and specialise in teaching beginners with a fresh and fun system for learning to play guitar. Do I need my own guitar to learn? It is really necessary that every beginner guitarist has their own guitar for practice at home. 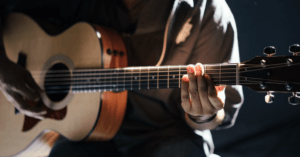 Practice is were the real progress in learning guitar is made, therefore it is necessary to have a guitar that you can use to practice what you have been taught at your guitar lessons. Learning to play guitar is one of the most amazing things that you or your children can do. Playing an instrument is fun, a challenge and has so many other benefits outside of music. 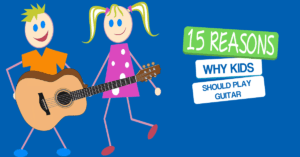 Picking a starter guitar for your son or daughter is very difficult - there is so much choice online and on music stores . It can be very difficult to choose a starter guitar - picking a good instrument but also not spending a fortune. I know that children are bombarded with so much (I know I have a 11 year old daughter!!! )- tablets & internet, sport and other activities - that you want to be sure that they stick with guitar before buying a more expensive instrument. That is a wise approach to take! When I started out, I just got the first thing my parents could find - they had no idea if it was good or bad - I want to use my love and experience of guitars to help you get a good guitar for your son or daughter as they start their guitar playing journey! In recent years, Newry County Down has seen the loss of it's only music shop - Newry Music Mart - which was superb place for non musician parents to go to get a starter guitar for their children. "Where do I buy a guitar in Newry now?" This is a question I am asked many times by people in the County Down area. So what I decided to do was put together a beginner or starter guitar pack that you can trust is a good instrument with all the essential accessories that you need to get started. I provide one to one, private guitar tuition but perhaps your child does not want to come to guitar lessons or it is difficult for you to travel to my guitar studio so I have designed an online guitar tuition course so that you or your child can learn on your new guitar from the comfort of your home. What is the Online Guitar Base? Online video lessons, guitar lessons, PDF downloads, backing tracks – learn how to play guitar online! Join the community of guitar players – share your tips, show off your playing and ask for help from your fellow Online Guitar Base Members!